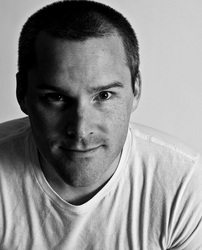 Roger Craig Smith is an American voice actor. He is also known as Roger C. Smith. He is generally known as the voice behind Chris Redfield in Resident Evil 5, Resident Evil: Revelations and Resident Evil: The Darkside Chronicles, as Ezio Auditore da Firenze in Assassin's Creed II, Assassin's Creed: Brotherhood and Assassin's Creed: Revelations, and as the current English voice of Sega mascot Sonic the Hedgehog.